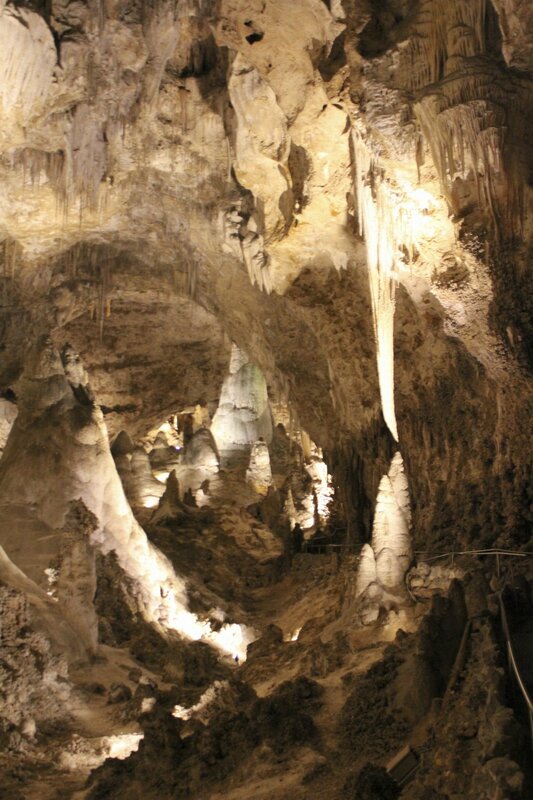 When Nicole and I started planning our United States road trip, Carlsbad Caverns National Park loomed large in my mind. I have always admired people who are National Parks types of people, driving a van around and taking advantage of America's greatest outdoor assets. When we recently dropped by Barrett-Jackson, one of the U.S.'s largest auto auctions in Scottsdale, Arizona, this sweet olive green van had unfortunately already sold (and for almost exactly the same price as we ended up paying for our boring, newer and safer Mitsubishi cross-over at a car dealership). So the van life was out. But the National Parks were still in! 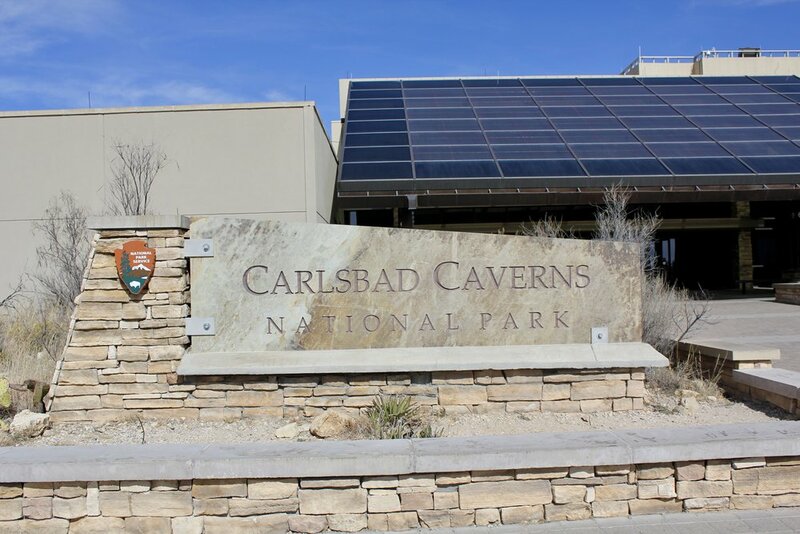 Carlsbad Caverns beckoned as the most well-known of the Parks on our route. So I couldn't wait. The cave turned out to be an otherworldly experience. The paved, well-maintained, underground route of the self-guided tour was so nicely laid out that, afterwards, we were completely satisfied felt no need to do anything further at the Park. Our photos tell the story of this underground wonderland better than words ever could. Enjoy! We started our underground walk at the Natural Entrance (rather than taking the elevator down to the main part of the cave). The Natural Entrance is a steady downhill 1¼ mile trek. 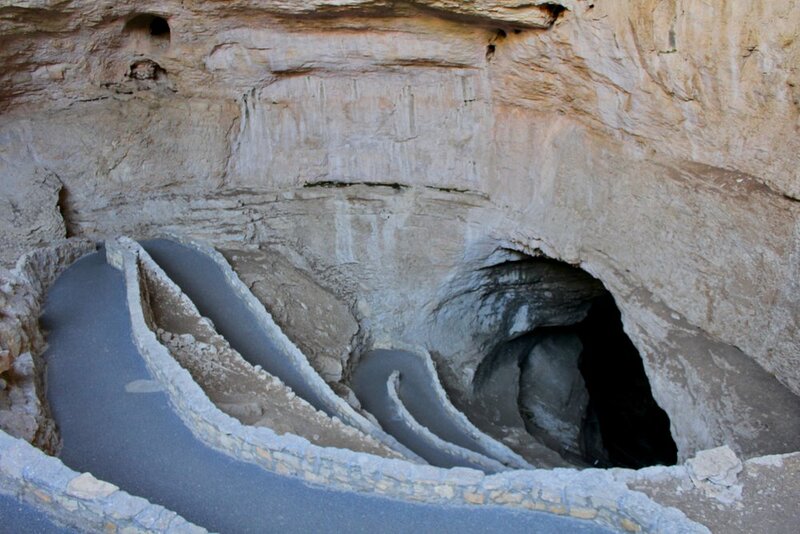 According to the Park Service, the descent is equivalent to that of about a 79 story building, from the entrance to the main section of the cave called the Big Room. The walk took us about 1 hour, but beware if you have bad knees, the elevator might be the best way in. Once in the Big Room, we walked the 1¼ mile looping trail back to the Big Room starting point and then rode the elevator up and out of the cave (rather than walk back up the Natural Entrance). Like this post? Want to read more about Travis and Nicole's travel adventures? Check outToo Heavy To Zipline -- How We Ended Up Doing The Most Amazing Cave Tour While In Phong Nha, Vietnam.